Have bought this for my boyfriend for christmas, not given to him yet, but I think its lovely. Watch came really quickly.Within 2 days. Had a text saying it was going to be delivered that day, then a further text to say it had been delivered. Good product, competitive price and delivered promptly. I provided my wrist dimensions with the order and the bracelet was adjusted prior to delivery. The watch fits perfectly and so far keeps good time. The item is exactly what I expected, matched the description and images online perfectly. The only minor issue for me is that the display box it came in was a little broken. But the person wholl receive this wont be bothered by that. So Im not either. Cannot be disappointed, as its exactly what ordered. Having worn this piece for 2 weeks I can only say this is a must to own. Build quality is satisfactory, this piece keeps time well, the blue dial makes the watch look more expensive and I love the date function too. Adjusting the bracelet was very easy and I need not pay extra to have that done. For the price of this piece its a kill. Delivery was very fast to Lagos, Nigeria. I brought this watch for my partner for Christmas and he loves it, had to get some links removed but now fits great. Only problem is with the day/date part of the watch, this occasionally switches between English and French, sometimes only has half of the day and sometimes no day at all and so requires adjusting, think it may just be a slight fault with this particular watch but may be all of them. Very good watch though, would recommend. Classy looking navy background on an adjustable silver bracelet. Plain and simple no extra knobs and dials nobody ever uses and are too small to see anyway ! Just big enough to say im a man without being so big it says look at me, im hard. Goods came as promised and are excellent and very good quality . The two watches are presents for my two sons for Xmas. This watch is the best watch I have ever had. I had to have some links removed, and waiting to receive the cost. The watch itself is absolutely fabulous. It looks good, keeps perfect time, and looks a lot more expensive that what I paid for it. The blue dial completes the picture. Great watch! I brought the watch for my partner for valentines, he absolutely loved it. Although the fit wasnt perfect it was easy for the bloke in the watch shop to take out links. As far as I can tell its a really good watch and very easy to read. Wonderful product, excellent packaging and delivery time. Stainless Steel strap needed adjustment but the instructions on the enclosed leaflet did not match the strap that I received. Maged to sort it my self and I am very happy with the watch and the way that the strap fits. I am very, very impressed with the watch. For a value price, the watch is very well made and impressive. Bought as a gift for my dad, needed something cheap as he very prone to breaking watches, but at the same time wanted good quality. This was the one! Ideal. Would recommend. The dial looked smaller on the pictures than in reality, which was an initial concern when it arrived. However, the look and feel was excellent-looks like an expensive watch without it actually being so which is great. 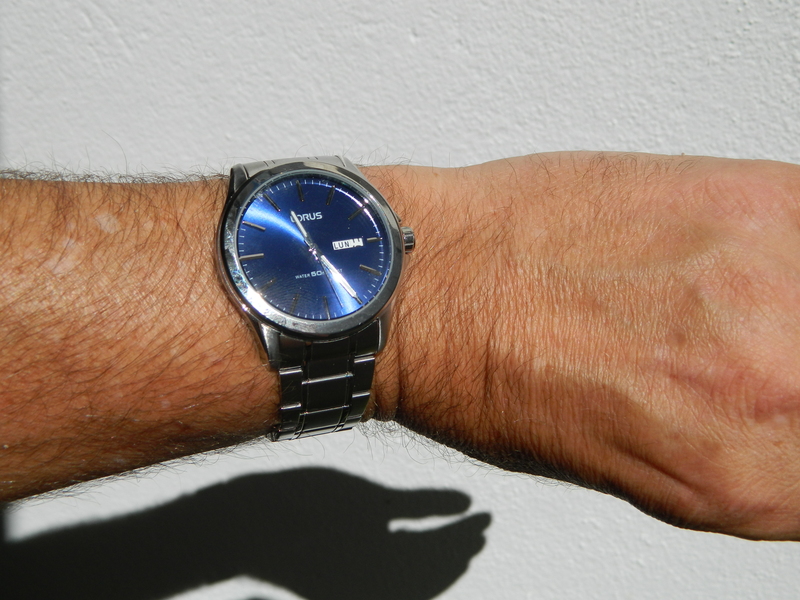 The blue dial makes the watch attractive, but is subtle enough to wear with different coloured clothing. Packaging was nice too, and the warranty is a nice addition too. Very good value for money. 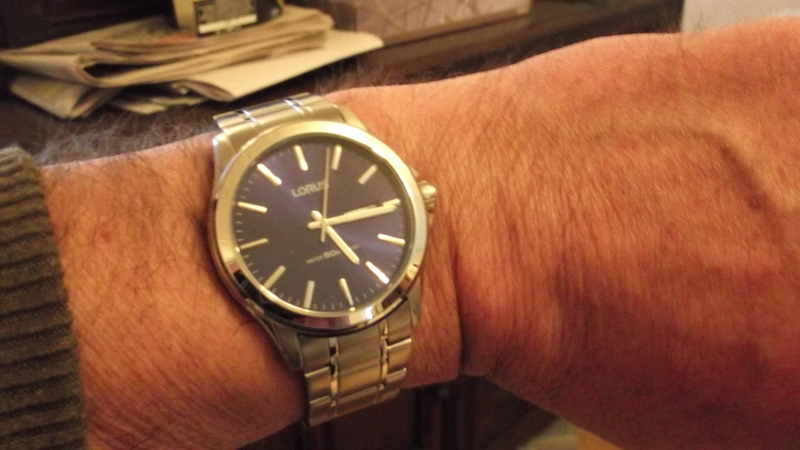 Its a no nonsense watch and does its job perfectly.it has a large blue face which is ideal for wearing at work and looks a lot more expensive than it is. Setting the day and date was a bit of task but got there in the end. 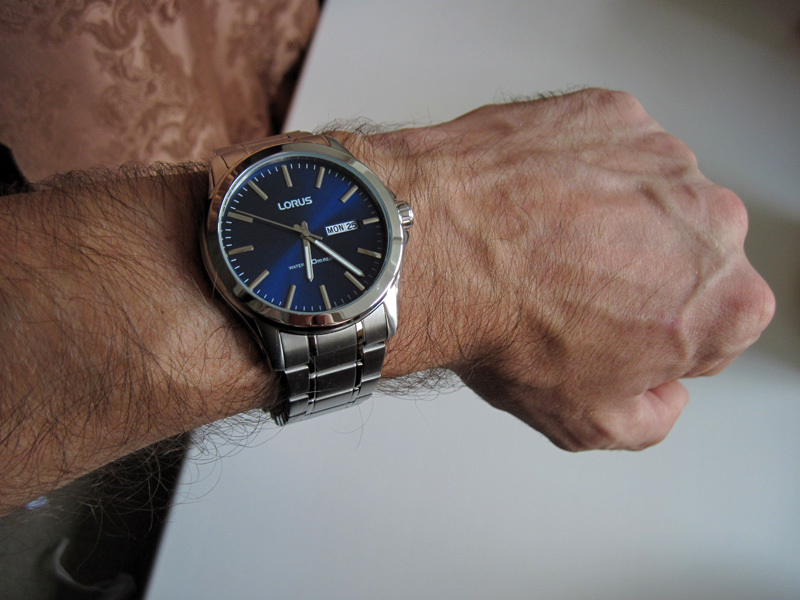 Large, perfectly readable blue dial, attractive watch. Comfortable to wear. Exact VX43 Japanese mechanism by Seiko-Epson Corp. Thank Watchshop for watches and service. Bought to replace a every day work watch. and this watch fitted the bill. only gripe was the day change mode stuck at tuesdsy and ratcheted.had to change day by keep winding fingers on until required day. So i said that watch shop was the best i have had dealings with out of all the onlineshops there are watch Shop is the best. Bought this watch to replace a Lorus watch that I have had for many years which still works perfectly but had become a bit battered. The new watch is similar to my old one but much more stylish. I love the blue face which is slightly larger than the old watch. I will definately look after this one better. At a touch over £30.00 I think it is excellent value for money and the service I received was also first class. Ordered the watch on a Wednesday morning and it arrived on Thursday morning. Well happy! Great watch nice silver strap and blue dial. Minimal cost to get watch altered with links out so the watch fits great. It is a nice an classic watch. I really like the colour and the metal bracelet and the price is unbeatable. Brilliant watch with different design. Very comfortable on the wrist and a must have. Do not let it go, just grab it. Good product and excellent value. Instructions not easy to understand. Ideal as second watch for travelling. Lovely looking watch and reasonably priced. After going to local jewellers realised we had been sent wrong instructions on adjusting watch strap.